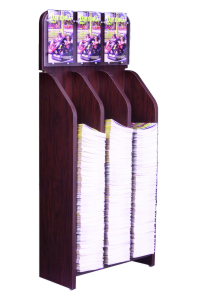 Digest size magazine floor standing display. Ideal for holding small magazines digests and more. This model has 3 rows. Dimensions: 19 3/4" Wide x 44" High x 8 1/2"' Deep.